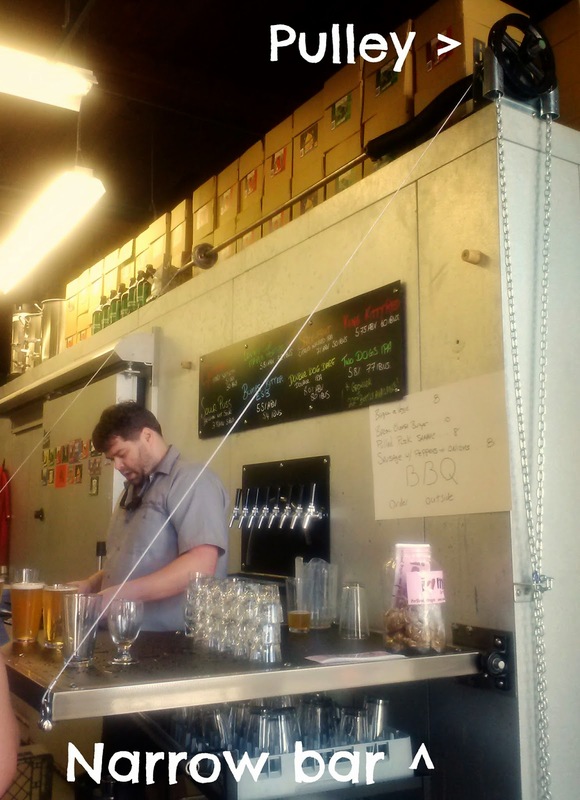 Saturday, less than two months after closing the brewpub doors, Coalition Brewing swung open the brewery doors and welcomed the public into their tasting room. Two months is a pretty short departure from the public scene but to those of us who love coming in for a beer, even short closure times seem long. As promised, and in a shorter time than I expected, they have returned. Besides looking forward to seeing Elan, Kylie, the rest of the crew and drinking their beer from the source I was curious how they were going to fit a bar into the brewery. The answer is ingenious and since it might be a little difficult to tease out from this picture I'll do my best to explain. Basically the bar is on a pulley system. In the picture it's in the "down/bar's open" mode. When it's in the "up/brewery" mode, it juts out just inches from the cooler wall, no further than the door. Whoever came up with the idea is clearly used to increasing functionality and maximizing space. Thank you! 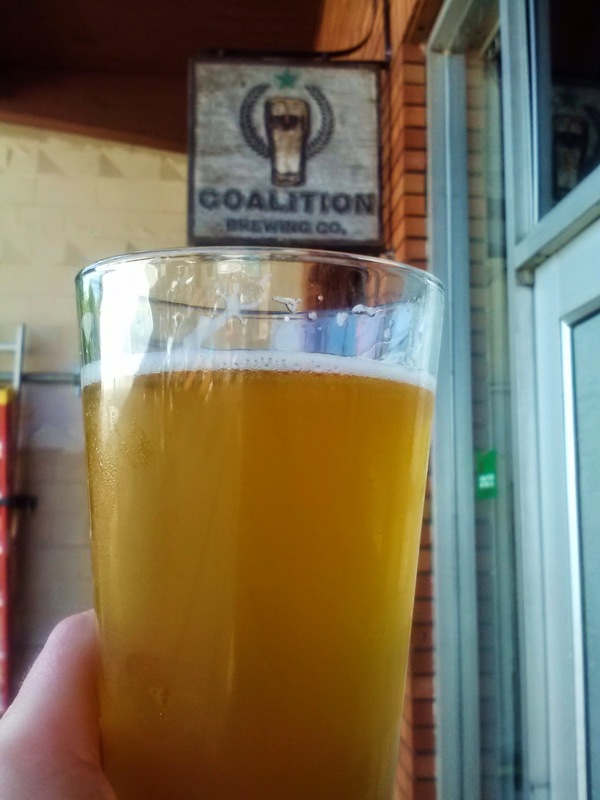 Coalition is still working out what their regular taproom hours will be but for the short term you can generally expect them to be open 2 - 8pm Saturday and Sunday. As with other taprooms I suspect they'll soon be adding Friday hours and then maybe even Thursday hours, all while working on pub version 2.0. Stop on in and enjoy a pint, once again, at Coalition! 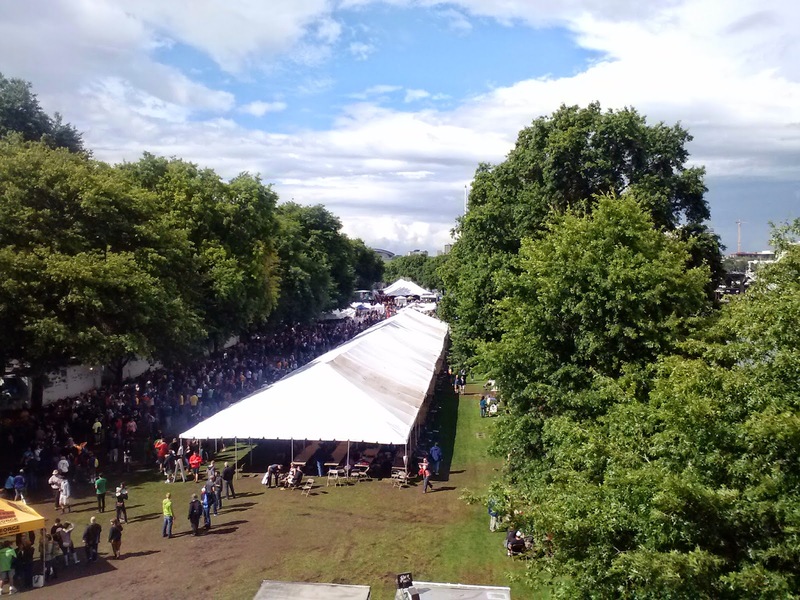 There's no denying that the first day of the 27th Annual Oregon Brewers Festival was the soggiest in its history. Good beer lovers that we are, however, we weren't going to let a little, ok a lot, of rain stand in our way of getting our hands on beer. I arrived as planned, just as the gates were opening, following the parade in. Choosing to skip the opening beer tapping (Super Duper Dog from the Lucky Lab) I plowed straight into my beer hit list. As it turned out the rain actually helped me stick to by game plan a bit more than usual as I was content to stay on the south end of the festival, getting a beer, scurrying back to the tented area and repeating until I was nearly out of beers I wanted to try from trailers 1 - 5. By that time the worst of the rain had passed and I deemed it "safe" enough to venture to the north tents to continue knocking my list down. A couple beers there and the sun actually started to show its face. I gratefully soaked up its delicious warmth while enjoying a few more beers before calling it a day. Of the 23 beers on my list, I gamely made it through 16, about what I figured I would be able to accomplish. There were some surprises, more good than bad, and although that is just a drop in the pail of the 88 beers (+100 specialty tent offerings) I give you my top two of the day. Paradise Creek Huckleberry Pucker - This is the first beer I've had from Paradise Creek, a four year old brewery located in Pullman, WA. It was a great introduction to them and a wonderful surprise to find that this beer was as puckery as I was hoping for. Sixpoint Barrel Aged 3Beans - The biggest surprise, since I was pretty sure I would enjoy it, was to hear how much Mag, generally a non-barrel aged beer fan, enjoyed it. At 10.3% this is amazingly easy drinking and easily the best "deal" of the festival, going for the "base rate" of one token per sample. I suspect that attendance numbers may have been down for the day but with four more days, with better weather predicted, I'm guessing there won't be any problem making up for Wednesday's deficit. Whether I'll return remains to be seen. Even with the rain, it would be hard to top the great day I had sampling beers and hanging out with countless familiar faces. It's that Time Again - OBF Prep! 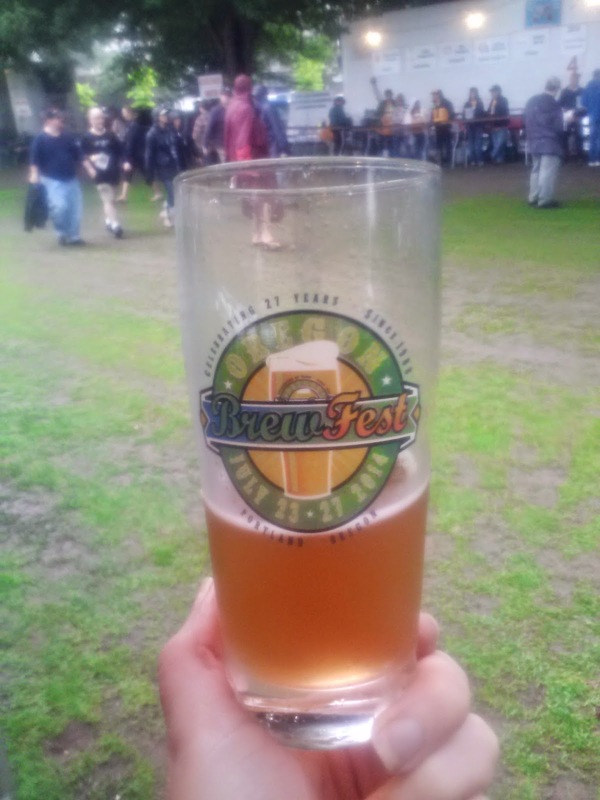 Tomorrow kicks off the 27th Annual Oregon Brewers Festival and per my tradition, not to mention the need to narrow down the list of 88 beers that will be pouring throughout the festival, I recently spent some quality time with the beer list. Even before I was halfway through perusing the program, however, I knew I was in trouble. Sure, there were some easy cuts to make but many, way too many beers that sounded interesting. By the time I got done with my first round list there were 23 beers. That's still plenty but factoring in that I'll be going with friends there's a chance I'll get through them, but not without taking the next step. That next step was to look at the listing of where those beers would be found (thanks to the wonderfully handy tent/trailer listing in the program). Really geeking out I grouped them by trailer, by general group (fruit-containing or IPA, the two groups the vast majority of the beers on my hit list fell into) and then tried to plan a low ABV to high ABV, lighter flavor to more heavily flavored path that didn't have me bouncing between trailers like some beer crazy pinball. Fitger's Hoppulujah IPA - This MN transplant is looking forward to having beer from this fine brewery again. Gigantic Who Ate All the Pies? - Strawberry. Raspberry. Gose. Enough said. Paradise Creek Huckleberry Pucker - I'm hoping for hugely pucker. Sixpoint Barrel Aged 3Beans Baltic Porter - A fan of regular 3Beans, it has the potential to be great. Old Market Cherry Derive - Their fruit beers have hit the right notes for me in the past, may the trend continue. While it's unclear if the weather will be cooperative for opening day, I'll be there rain or shine. Perhaps I'll see you there. Cheers, Beer Friends! If you've been beer shopping lately you may have noticed Sierra Nevada's Beer Camp mixed 12-pack (10 bottles + 2 cans). The beers contained within come from 12 breweries across the U.S. that Sierra Nevada partnered with, all of which are probably familiar names even if they aren't generally available in your market. 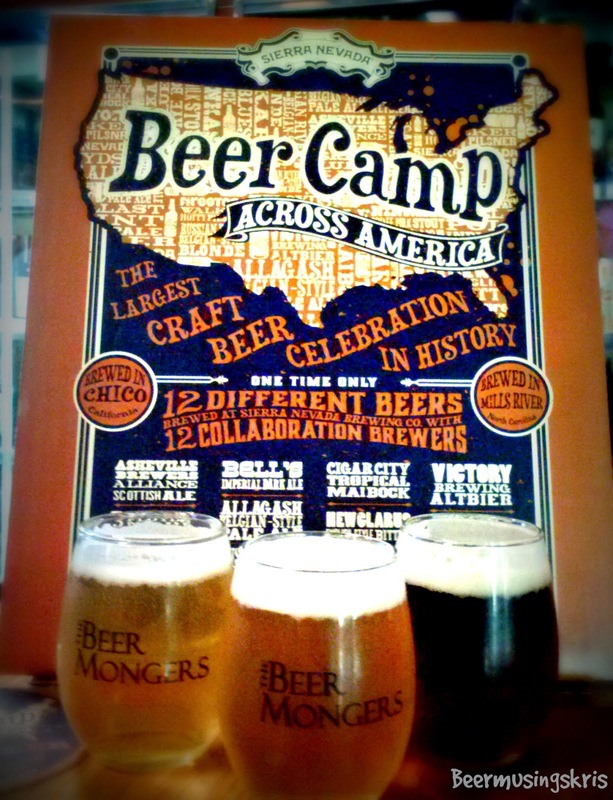 The Beer Camp Across America tour starts this Saturday in Chico, Calif. with tour stops in seven cities. Portland wasn't chosen to be one of those cities (or anywhere in Oregon actually) but that didn't stop my favorite watering hole from getting in on the action. Last night The BeerMongers had a tap takeover in which they had all 12 of the beers available - and not just pouring from those 12-pks, oh, no, they were All. On. Tap. I won't bore you with a blow by blow account of each beer but two of my favorites were Ninkasi Brewing Double Latte Coffee Milk Stout and Bell's Brewery Maillard's Odyssey Imperial Dark Ale. Ninkasi doesn't get a lot of love from me these days but they really hit it out of the park with this coffee beer. And Bell's, well I'm happy whenever I can get my hands on a beer from this upper Midwest mainstay and their Dark Ale was right up there with some of the best they make. Two others I feel compelled to mention are Victory Brewing Alt Route Altbier and Asheville Brewers Alliance Tater Ridge Scottish Ale (made with sweet potatoes). Neither are styles I gravitate towards mostly because they tend to be too malty for me but both of these were nice beers that I'd happily order again. If you get a chance to try these beers on tap, do it. Even if not, grab one of the 12-pks, a couple of friends and sample your way through all the offerings. I bet you find at least a couple you'll want more of. While I can't guarantee this is an all-inclusive list, here's what I've gleaned from the interwebs over the last couple of days about places around Portland being open or closed today. When in doubt, give the place you want to visit a shout! Growler Guys - $1 off 1 growler fill, $2 off the 2nd fill, $3 off the 3rd fill, $4 off the 4th fill July 3rd & 4th. The catch is that you have to purchase them all at once AND show the email (I can help there) but hey, it's a long weekend so that shouldn't be a problem, right? Happy first day of Oregon Craft Beer Month! I have to admit that it does sound a little odd to say that as one might think that June was Oregon Craft Beer Month, what with the 10-day long PDX Beer Week, NAOBF and the grand opening of Baerlic Brewing taking place in June. But no, that was just a lead in, a great lead in to a month that contains over 450 events across the state. That's a lot of events to keep track of and the Oregon Brewers Guild, the non-profit organization whose mission is to promote the state's brewing industry, has you covered. 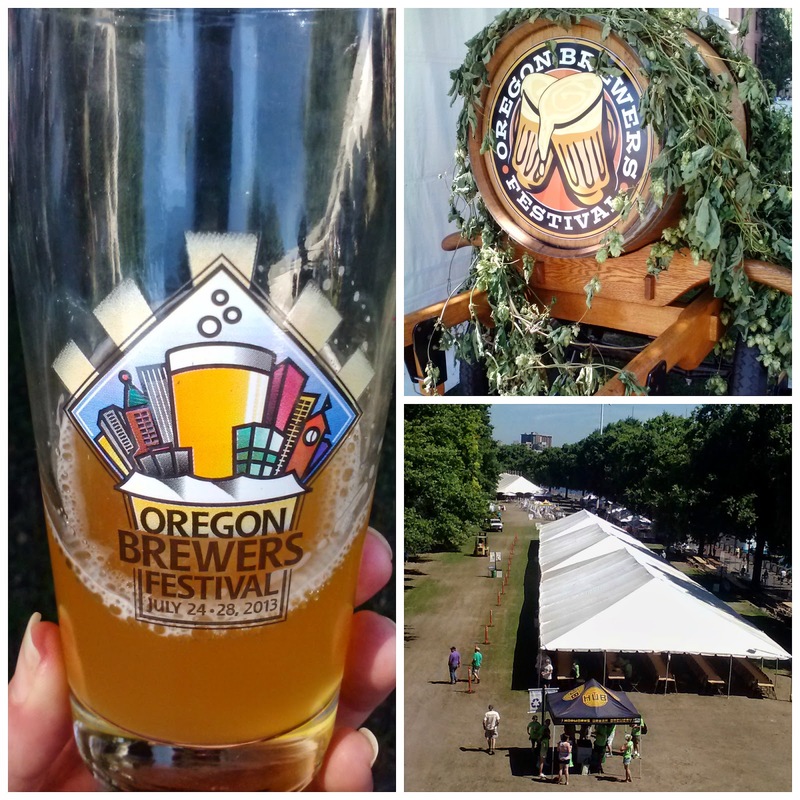 Of course you know about the Oregon Brewers Festival (OBF) but for a listing of the rest you can access the events page on their website, their Facebook page and follow them on Twitter. Untappd users have the opportunity to earn two new badges. The first, Oregon Craft Beer Month, can be unlocked by checking into four beers from a select list of Oregon based breweries. The second is a location-based badge, requiring check-ins at three different qualifying breweries or brewpubs. The qualifying lists for both badges can be found on Untappd. Appropriately the forecast for today is a VERY (even by non-Portland standards) warm one, 97 degrees per the local NBC affiliate. 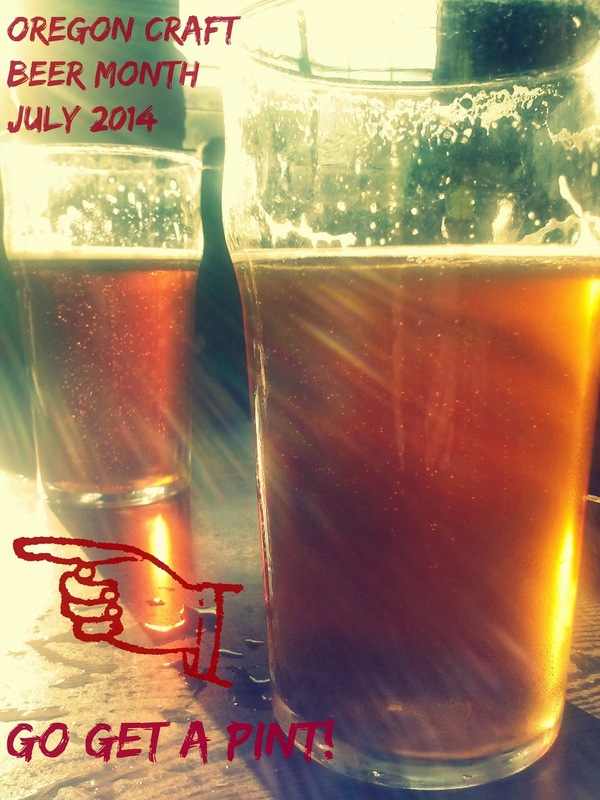 That's perfect weather to find a patio and sit back with a pint or three of Oregon's ambrosia.